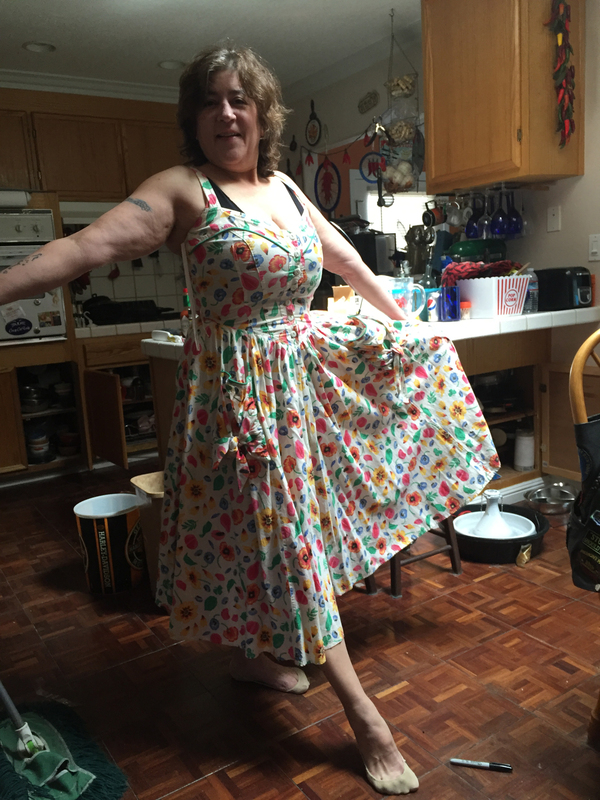 Haven't been able to button this dress for at least 20 years! It's a little tight so I think I'll take it over to the alterations place to see if there's anything they can do to let it out a teeny bit. I had to go jeans shopping too and bought two new pairs of jeans - an 8 and a 10. WOOHOO!!!!! The journey will never end - I'll be working on maintaining my weight and keeping it off until I draw my last breath. Weight Watchers - it WORKS!